When Chris Whittier, DVM, PhD, reflects on his childhood, he recalls how he loved to dress up as a gorilla during elementary school. It wasn’t until much later, however, that he realized his true calling. 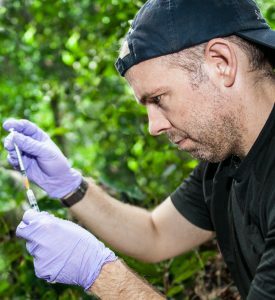 Today, as a biologist, veterinarian, scientist and artist by training, Dr. Whittier brings all of his skills together in his career as a conservationist, “One Health” professional, and director of the Master of Science in Conservation Medicine (MCM) program at Cummings School. How Dr. Whittier arrived at his place within the One Health arena, conserving wildlife and promoting ecosystem health, is unique. Growing up in rural New Hampshire, he temporarily left behind his childhood intrigue with gorillas and pursued an engineering degree at Brown University. 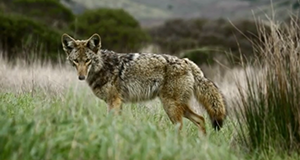 By the end of his sophomore year, however, his interests had shifted and he began to think instead about working with animals or, potentially, in the field of ecology. Dr. Whittier prepares a dart to inject a vaccine into a wild gorilla. Dr. Whittier’s junior year was a turning point. He spent the year abroad in Tanzania, where he studied zoology, took art classes, and devoted spring break to visiting the mountain gorillas. With insights from conservationist and veterinarian, Dr. Liz MacFie, he began to seriously think about veterinary school with a focus on international wildlife. He returned to Brown for his senior year, graduating with degrees in biology and studio art, and then took some time for self-reflection before enrolling at Cummings School. As a veterinary student, Dr. Whittier’s passion for wildlife, specifically great apes, further ignited when he had a chance to work with internationally renowned primatologist Jane Goodall in Gombe, Tanzania. After graduation, he joined a small animal practice in North Carolina in order to refine his clinical skills, while at the same time engaging in primate work at the Duke Lemur Center. 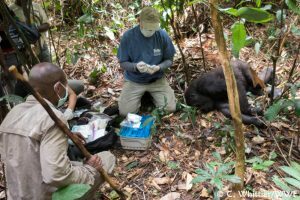 To build his previous research skills, Dr. Whittier entered a PhD program in population medicine at North Carolina State University, focusing on the diagnosis and epidemiology of infectious disease in wild gorillas. Later on, as regional field veterinarian with the Mountain Gorilla Veterinary Project (MGVP, also known as Gorilla Doctors) in Africa, Dr. Whittier worked to protect the health and welfare of gorillas, which are threatened by poaching and diseases transmitted by human contact. 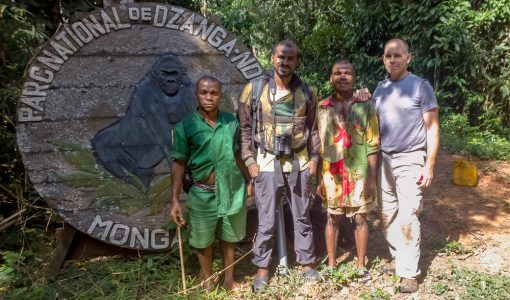 He also provided annual health screenings, vaccination clinics and follow-up health care for the hundreds of rangers, trackers, researchers, and others who routinely share the animals’ habitat. 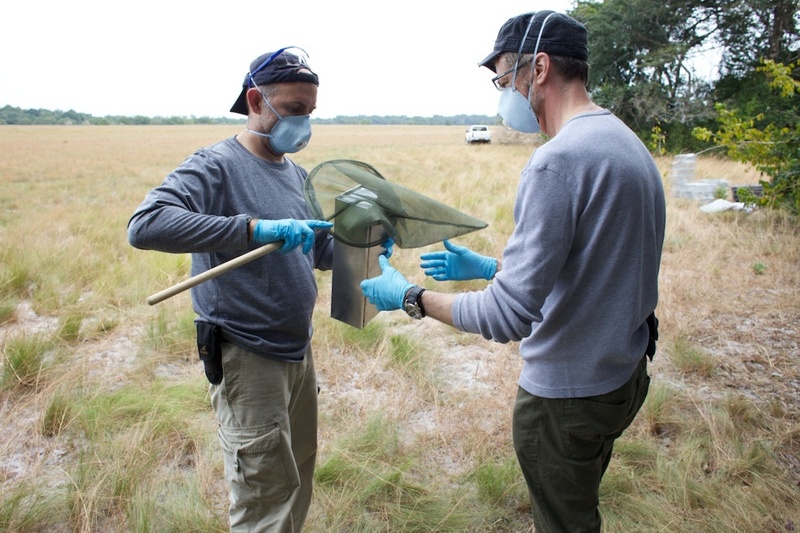 Dr. Whittier and Smithsonian field assistant prepare to remove a rat from a trap in Gabon to collect samples for virus discovery. Additionally, Dr. Whittier performed international work with the Smithsonian Institution, where fellow Cummings School alumna, Dr. Suzan Murray, hired him to work on the USAID PREDICT Project, which focused on documenting viruses in wild animals around the world in order to prevent pandemic outbreaks. Dr. Whittier’s frequent travel to and work in a host of countries in Africa and Southeast Asia allow him to share his vast international experiences with MCM students and others at Cummings School. 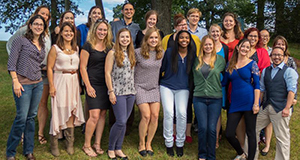 As the director of the MCM program and Center for Conservation Medicine at Cummings School, Dr. Whittier believes that there is not one single path to a career in One Health and conservation medicine. Along with teaching courses such as Health, Disease and the Environment and Research Skills II – Surveillance Methods and Techniques, he also helps his students navigate the issues associated with international and domestic field work and research, externships, and their “case study” capstone projects. “I think it’s important for [the students] to learn that they can do whatever they want, and they can proverbially ‘change the world,’ but that it takes a lot of hard work, dedication, and sacrifice,” says Dr. Whittier. “He has continued to be a mentor for me, and is one of my biggest fans, as I pursue my PhD and begin to develop my own academic career,” adds Sparks. With a team from WWF, Dr. Whittier removes a poacher’s wire snare from the wrist of a mother gorilla in the Central African Republic. 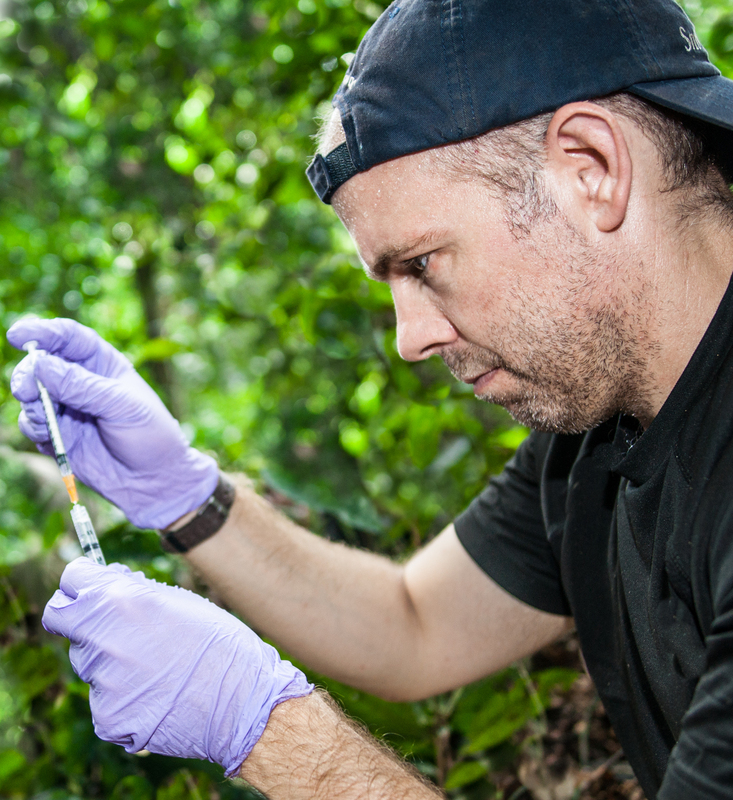 When he is not teaching and mentoring students, Dr. Whittier continues to engage in efforts globally to protect gorillas and other apes from diseases like Ebola and anthrax via vaccination. He has also recently been involved in issues domestically, looking at the health risks facing urban wildlife. A true One Health professional, Dr. Whittier recognized early on that human, animal, and environmental health are intertwined. While he acknowledges human health may be a societal priority, he strongly advocates that human health benefits when animals and the environment thrive.